New Delhi: The Delhi government is working on its plan to induct e-buses and the delivery of first batch of these vehicles is expected to start from second quarter of next year, chief minister Arvind Kejriwal said Saturday. He also expected that the Delhi high court will lift its stay on the procurement of 2,000 standard floor buses, further boosting public transport in the city. “Our plan for electric buses is ready. 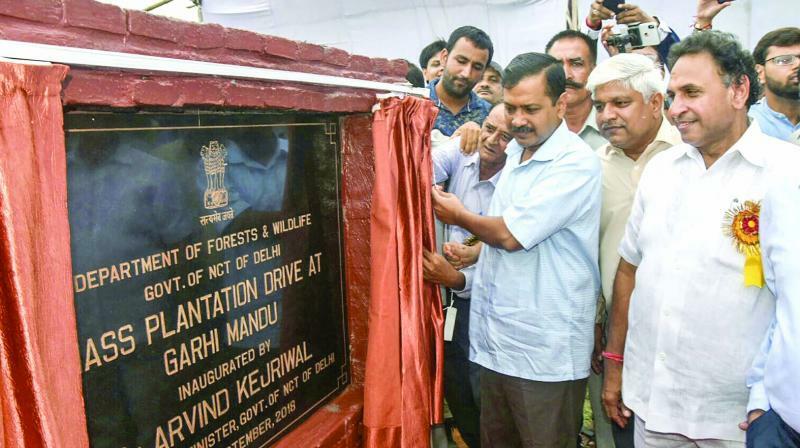 I hope delivery of e-buses will start from second quarter of next year,” Mr Kejriwal said on the sidelines of a mega tree plantation drive of his government. The Delhi Cabinet in July this year had given an in-principle approval for procurement of 1,000 low-floor electric buses. The Delhi Integrated Multi Modal Transit System (DIMTS) has been appointed as a consultant for the procurement process. A senior Transport Department official said that the trial of the e-bus operation is likely to begin after September 15. “Three manufacturers, including one from China, have promised to provide e-buses for the trial run. Their formal consent is expected to be conveyed by mid September,” he said. The chief minister also said that the Delhi government was on the verge of buying 2,000 buses when the Delhi high court stayed it in February this year. Later, the government approached the Supreme Court against the stay order that has allowed it to purchase 500 buses. “The Supreme Court also directed us to approach the high court. I am hopeful the high court will lift the stay and we will be able to buy 2,000 buses,” he said. The buses under public transport in the national capital include over 4,000 run by the Delhi Transport Corporation (DTC) and 1,612 standard floor buses operated by the DIMTS. Independent estimates put the number of buses required for public transport needs of the city to be around 11,000.